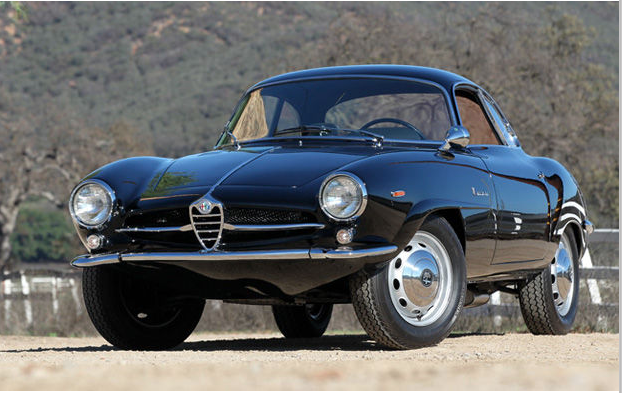 Giulia Sprint Speciale 10121*381151, 00121*01052. Fantasy Junction, a respectable local to me seller of high end sports cars has this SS listed in their inventory, price: POA. I don’t think I’ve ever seen them use this pricing convention – maybe it has something to do with last weekends rigmarole in Monterey and they didn’t want to be caught out if pricing moved in leaps due to an auction result. I didn’t make it to Monterey – opting rather to hang out with my dad. Any big Giulietta sales go down? That is a great color on an SS. So tempted to make an unflattering comment about Toyota dark metallic gray – better let it go though. This car sits well, everything is where it belongs, and I am excited to go check it out in person – maybe they will let me test drive – who knows. Anyone have POA I can borrow? Giulia SS 10121*380596. 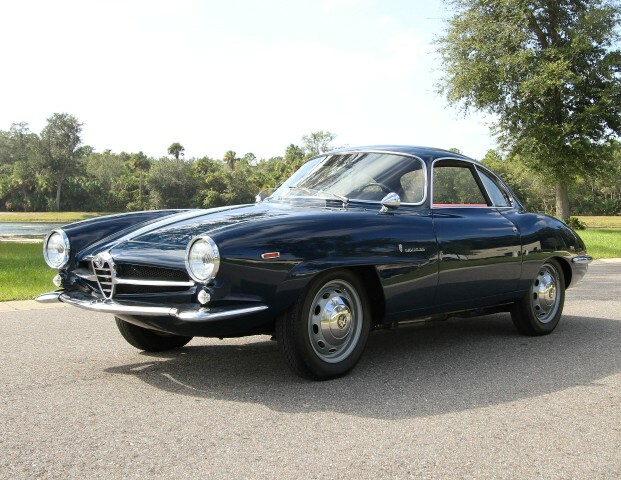 This car is available right now from Shin Yoshikawa -a name you may recognize if you have or have seen one of those cool cut-away type illustrations of Alfa’s -I think I have one of his TZ2 posters. This SS is a time-warp of a sort -having some detailing that most SS owners today would change -like the hot-roddy red and white interior. Asking price is a reasonable seeming $100,000 -hard to say that considering the best ones were $40,000 when I started this blog. Market 460: Giulia SS 10121 380136. Worst yet? Update 4/20/13: 15 bids. $3326. Wow. 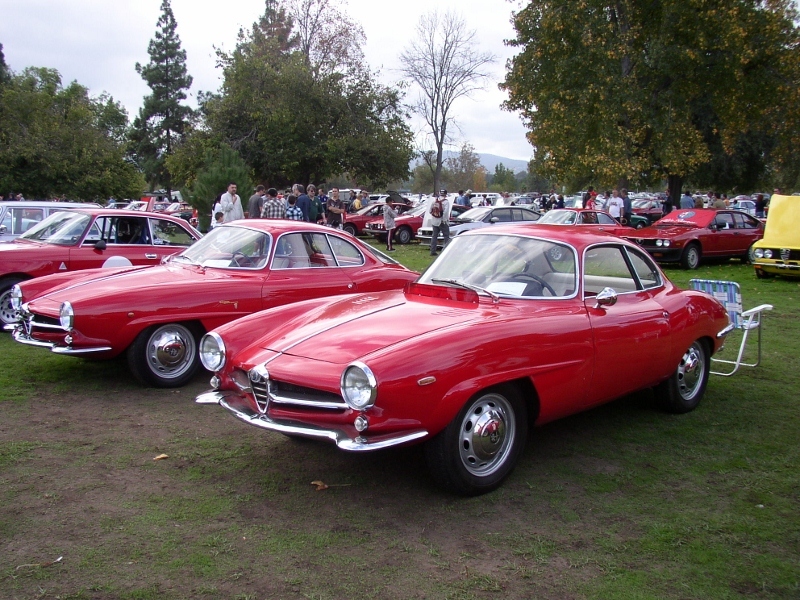 Giulia Sprint Speciale 10121*380136. Richard over at ClassicAlfa (whose products I use quite frequently) sent me a link to this auction. 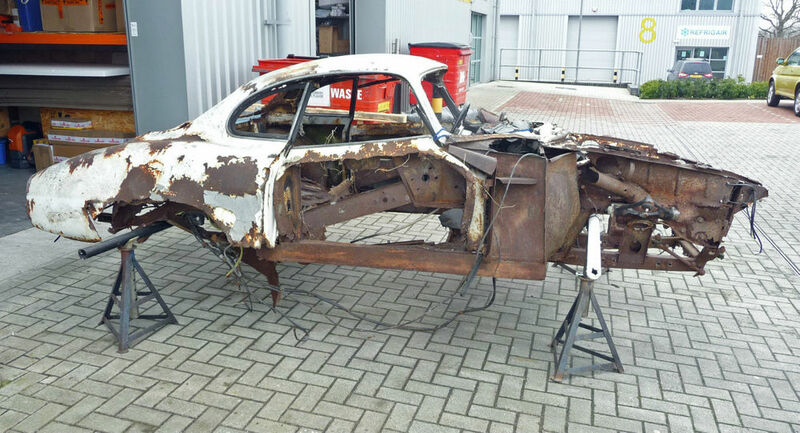 The British Isles are detrimental to old cars if they are not ‘kept up’ and this one appears to have supported a blackberry hedge for a few decades before being picked up so it could be picked over for parts. 999 out of 1000 of you look at this and assume it’s hopeless, and one of you thinks… I can get a $3000 Spider body as underbody donor, buy all Biondi’s applicable repair panels and have someone who knows their way around rust repair who has an English Wheel glue it all together then make some exterior panels. Where are you then? $30,000? I know, I know -but I mean really, if $130,000 is the going rate for good but not necessarily great ones, this is potentially doable in a profitable way -especially if you have contacts in places where skilled labor is affordable. Giulia SS. This car is available out of Florida for $145,000 from Kirk F. White. 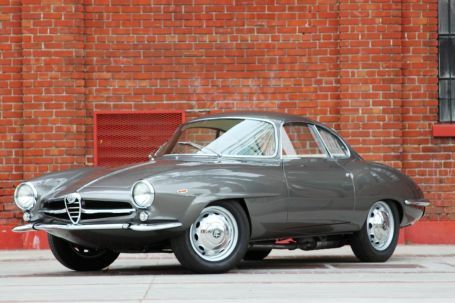 If the engine is original there may be some meat on the bone for someone to buy and send this to auction -Giulia SS’s are bringing strong money at auction after all, and this one has one of the best color combo’s. Of course it could go to a loving new home, but that never seems to be the case. Anyone know the vin of this car? Close to black blue in this one. This photo set is a study in how much pictures can lie. Great looking car, as I’ll continue to say. The Sprint special market seems to have found its groove. Hopeless looking cheap ones start at a little over $20,000, with doable, but tough ones coming on at about $45,000. There is a strata in Europe where decent, well maintained cars seem to be readily available for $60,000 – $80,000, then at the top of the ‘regular’ SS’s are the nice US market cars between $125,000 and $150,000. Of course Low-nose cars occupy the top of the top. Market 242 saw the resurfacing of SS 380956 -proving they are all viable these days. Market 407 was SS 00440, reserve not met at $15,099. Market 330 was SS 00381, selling for about $27,000.